I am loving spring flavors right now. No surprise since it’s been in the 80s in Texas for the last week or so. 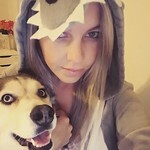 How crazy is that? I am especially loving all things berry right now. I feel like I’m going to the store every other day for more strawberries! 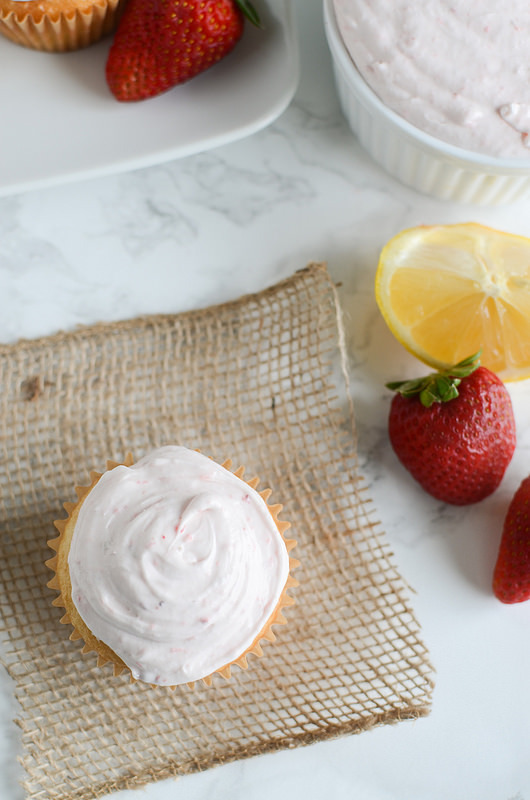 I’m loving them in everything, especially in treats like these Lemon Cupcakes with Strawberry Frosting! I’m still loving having a stockpile of Pillsbury mixes and frostings in my pantry. But this time, I want to chat about the cake mixes because they are my alltime fave. If you ever see me instagramming or snapping cupcakes, I can guarantee I made them with the Pillsbury Moist Supreme mix. Seriously, the softest cupcakes you will ever make. So for these cupcakes, I took the white cake mix and made it according to the box instructions, except I added just a bit of fresh lemon zest. It gave the cupcakes a nice freshness – and also gave me an excuse to put strawberries on top. Because lemon and strawberry is just the most perfect combo! 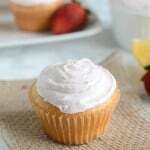 For the frosting, I used the Pillsbury Creamy Supreme in vanilla and stirred in some pureed strawberries. Such an easy way to make a store-bought frosting your own! 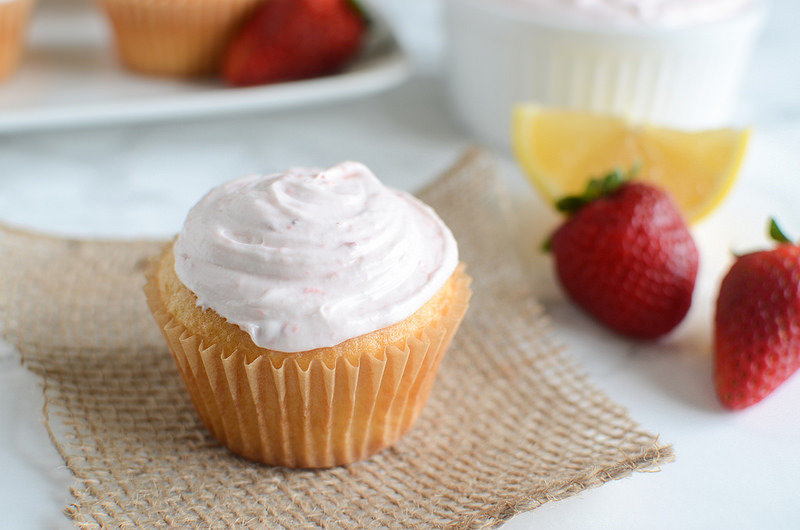 The soft lemon cupcakes with the strawberry frosting was so delicious. My oldest has a birthday this weekend and has requested that I make these again for the party! If you want to stock up on Pillsbury products for all your baking needs, make sure you download the Ibotta app to save $.75 and then visit Pinterest to discover more ways to #MixUpAMoment with Pillsbury! I’ll be using Pillsbury products to make a super cute Easter treat in a couple weeks so make sure you check back! Mix cake mix with all ingredients as instructed by box. Stir in lemon zest. Bake according to box instructions. Cool completely before frosting. To make the frosting, use a blender to puree the strawberries. 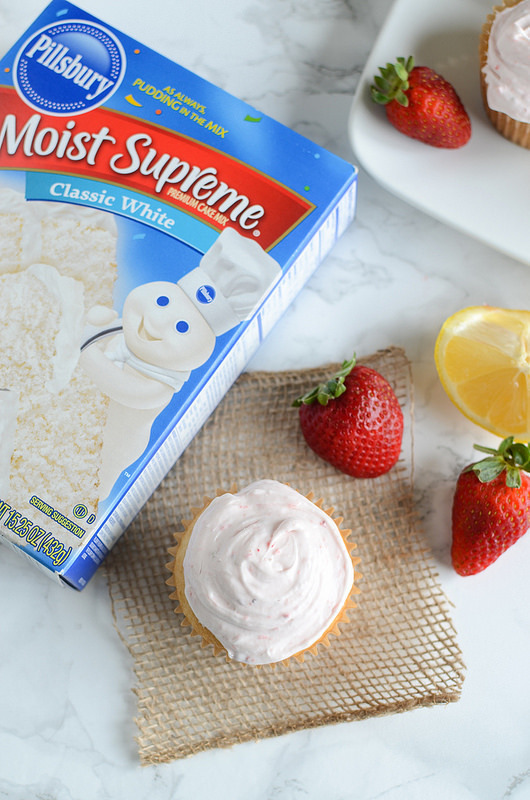 In a large mixing bowl, fold the strawberry puree into the Pillsbury Creamy Supreme frosting. Spread generously on cooled cupcakes. 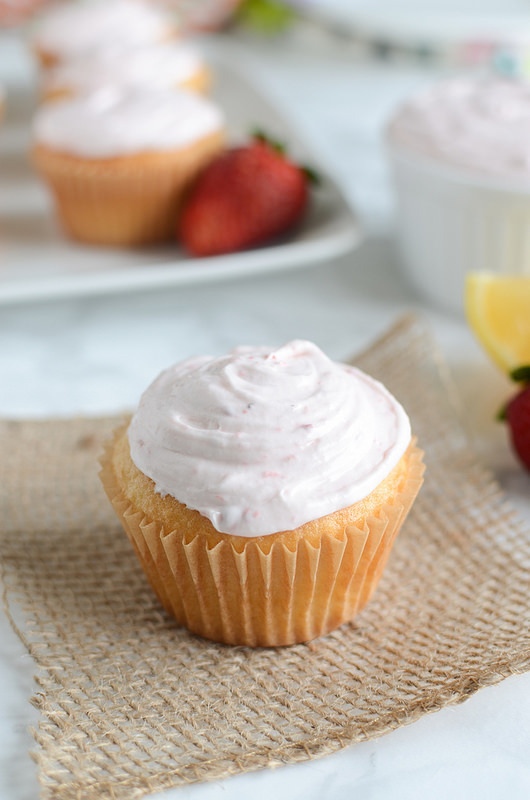 One Response to "Lemon Cupcakes with Strawberry Frosting"
Lemon and strawberry go so well together- that strawberry frosting looks so fluffy and delicious!